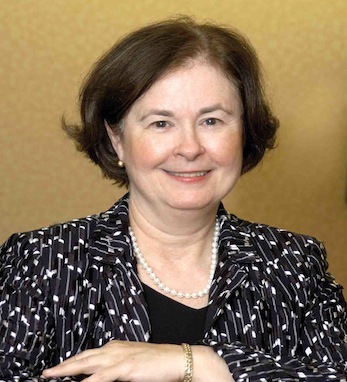 Mary Ann Callahan/Depository Trust & Clearing Corp.
A third-generation Irish American, Mary Ann earned a BA at Manhattanville College and an MBA in finance at NYU’s Stern School of Business. Her maternal grandfather, whose parents emigrated from Dublin, served with the Fighting 69th during WWI. During her childhood, her grandfather marched each year with his Irish-heritage regiment at the front of New York’s St. Patrick’s Day Parade. Her paternal great-grandparents hailed from Mayo. Regularly in touch with Invest Northern Ireland’s U.S. team, Mary Ann is also a supporter of International Center in New York and Covenant House.